This was, very probably, the last time I visited Dubai pivot fields. Now, that might sound like I don't like the place but, on the contrary, it's a fantastic birding site. But as with many other great birding sites, this place might not be the same in a year or two. The current "farmers", or whatever they are called, seems unwilling to keep up the business there. Which means that there is a great risk of the place overgrowing or even turned into another stretch of asfalt or shopping centres. As the last time I was here, I just stopped a taxi outside the hotel and told the driver where to go. And as before, the driver had no idea where Dubai pivot fields was but Dragon mart is well known. I turned out to be a beautiful (and hot) day with quite a few nice species. These Rollers are quite eye-catching. I just stod there and watched while they were performing their flying stunts. 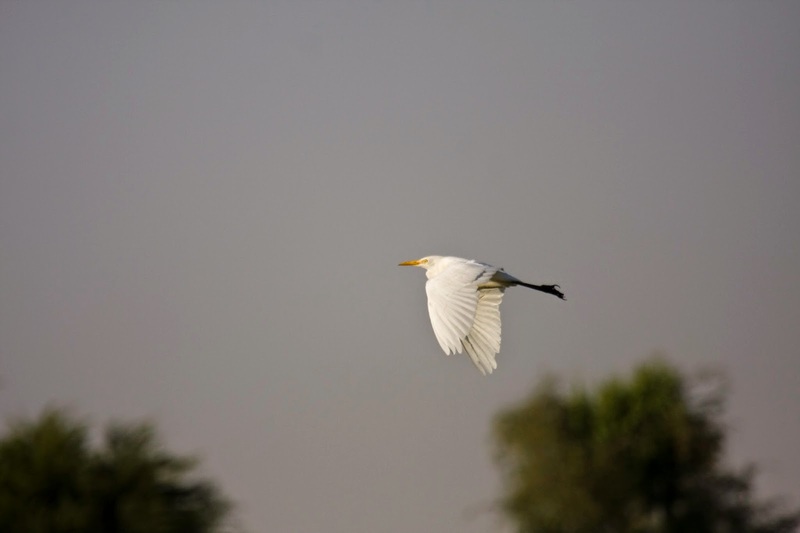 The Cattle Egrets were quite a few, some 31 birds could be seen in the part where they grow the hay. 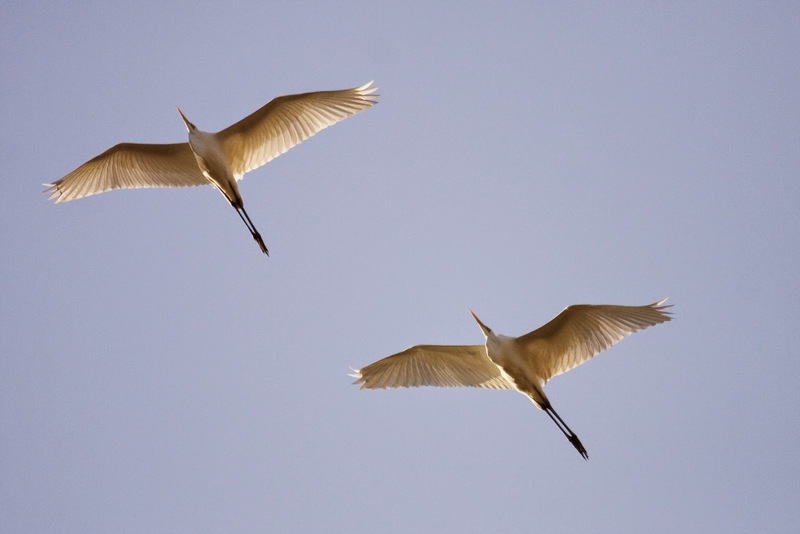 A couple of Great Egrets (Ägretthäger, Egretta alba) passed overhead. A few shorebirds were in the fields, the Red-wattled Lapwings (rödflikvipa, Vanellus gregarious), White-tailed Lapwings (sumpvipa, Vanellus leucurus), some Temmink's Stints (mosnäppa, Calidris temminckii), a Little Stint (smånäppa, Calidris minuta) and a few Common Snipes (Enkelbeckasin, Gallinago gallinago). After some time around the turf fields close to the gate, I decided to walk along the edge of the large pivot until I got the sun in my back. I passed som reed where a saw a large warbler very shortly. 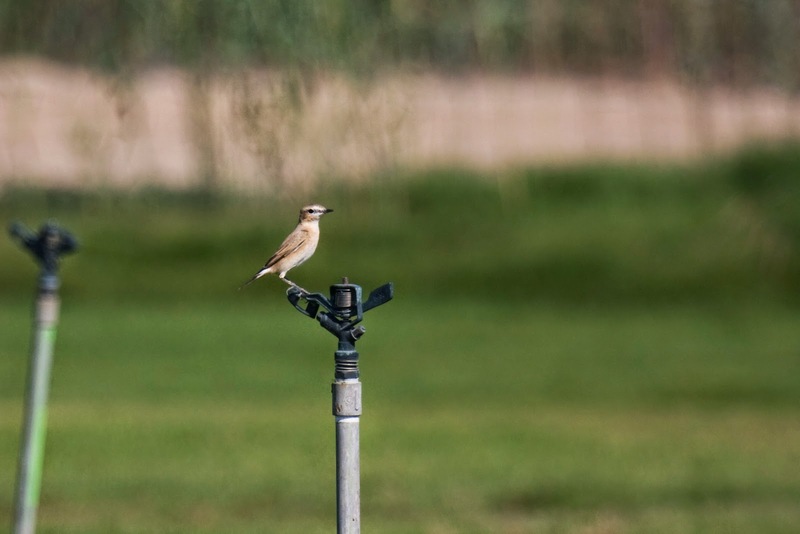 I was thinking maybe Great Reed Warbler, but I didn't see it good enough to identify it. 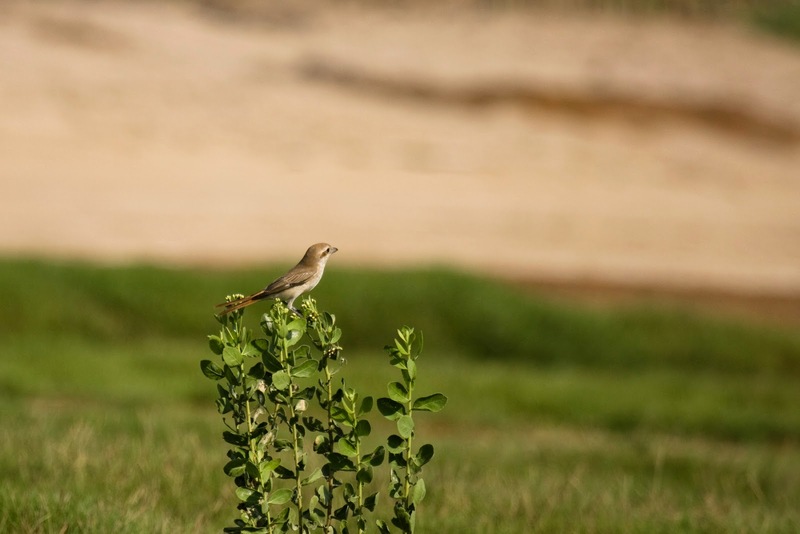 Later, when I talked to Mark he told me that it probably was a Clamorous Reed Warbler. Well, I will have to get another look at Clamorous Reed Warbler in order to count it. 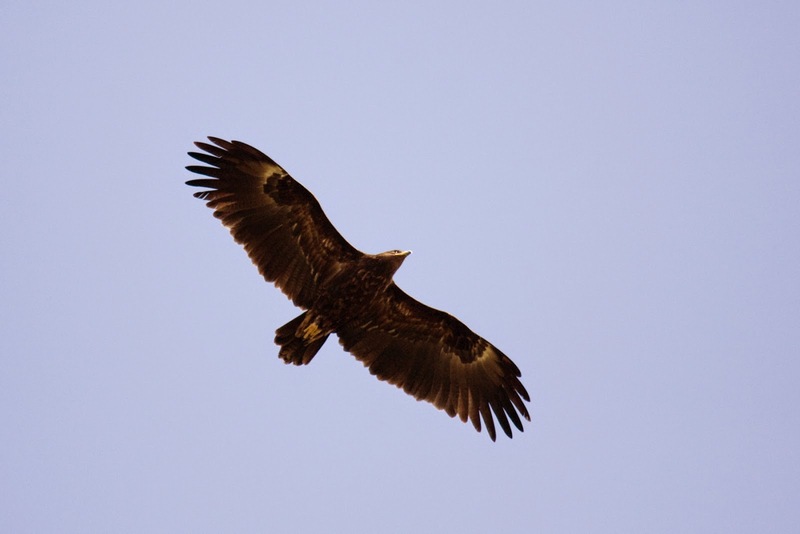 A little bit further on, an eagle came flying from the surrounding trees. 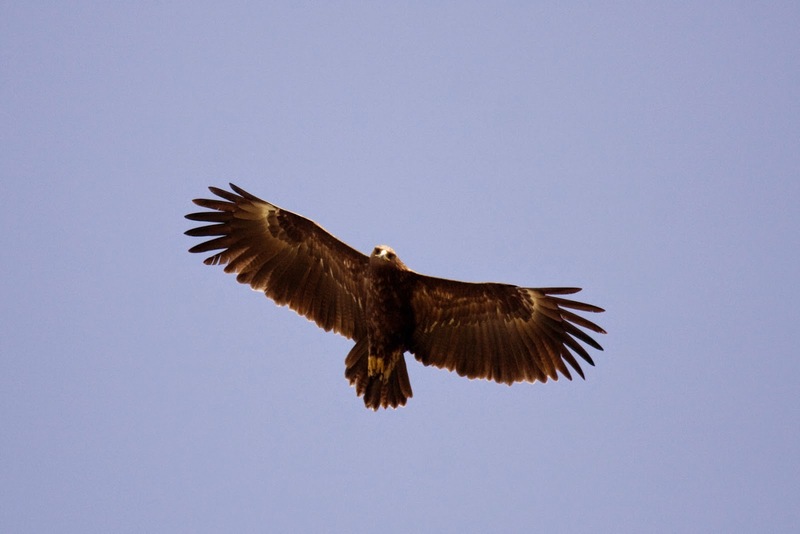 A dark eagle and, from what I saw, I immediately suspected Great Spotted Eagle. Then there came another bird of prey just behind the dark eagle. I was puzzled... 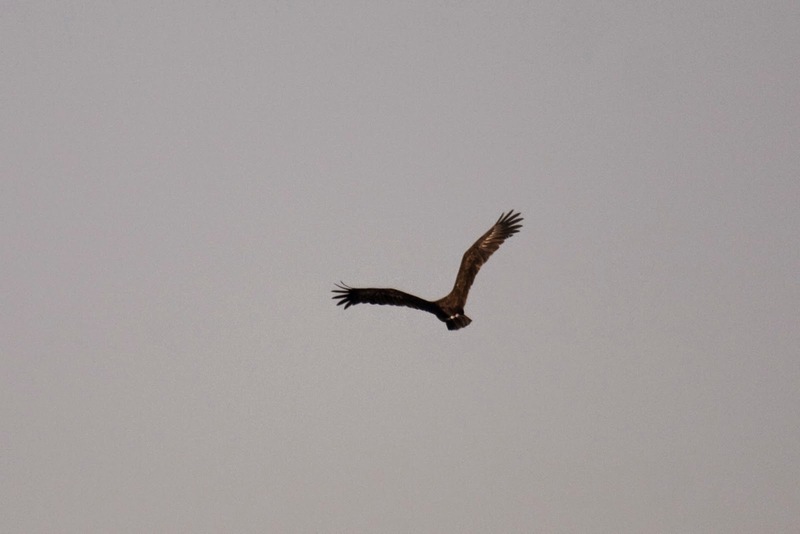 It didn't look like any of the buzzards I knew so I was thinking maybe Bonelli's or Booted eagle. 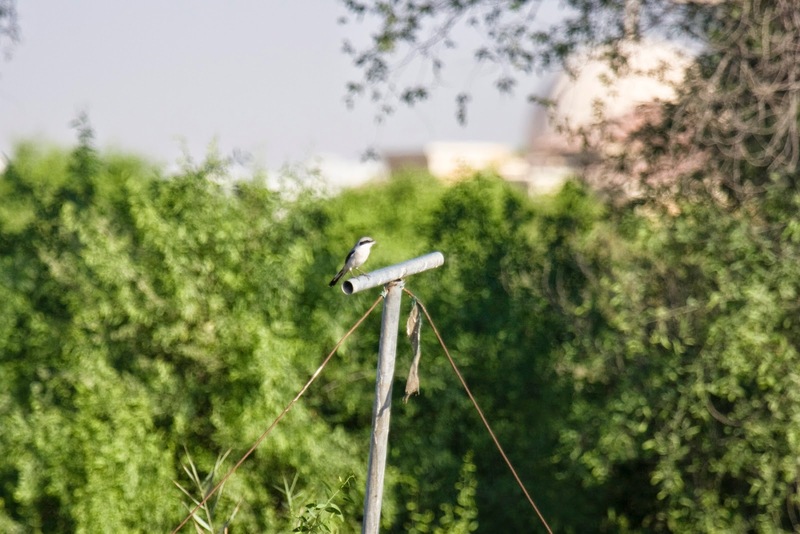 I didn't really get my grips around the look of that bird until afterwords when I read on the UAE birding website that there had been a Steppe Buzzard at Pivots lately. The very poor photos I had did actually show that it was this kind of Buzzard. A lot of pigeons everywhere and one Southern Grey Shrike (sydlig varfågel, Lanius meridionalis aucheri) showed itself good enough to have a good look in the scope. 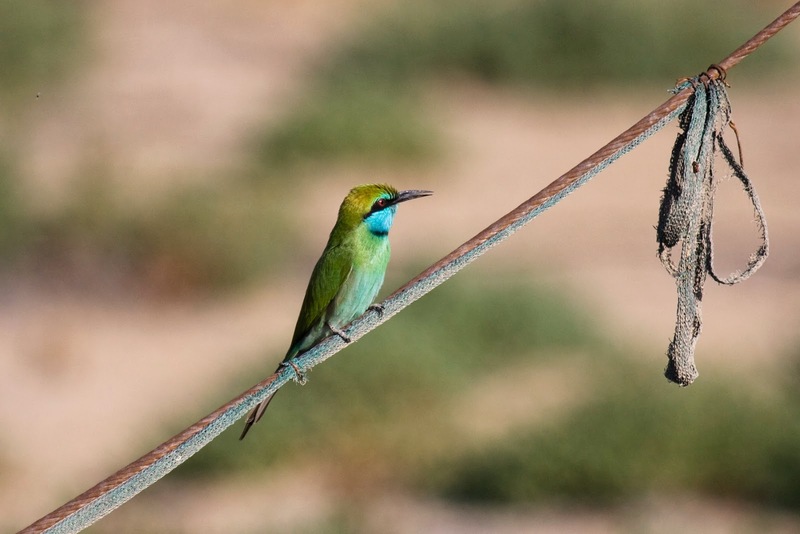 A beautiful Green Bee-eater (grön dvärgbiätare, Merops orientalis) was flying and perching in the same place as the Shrike. Some Graceful Prinias and quite a few Crested Larks (tofslärka, Galerida cristata) were flushed along the way and also another couple of Grey Francolins (grå frankolin, Francolinus pondicerianus). 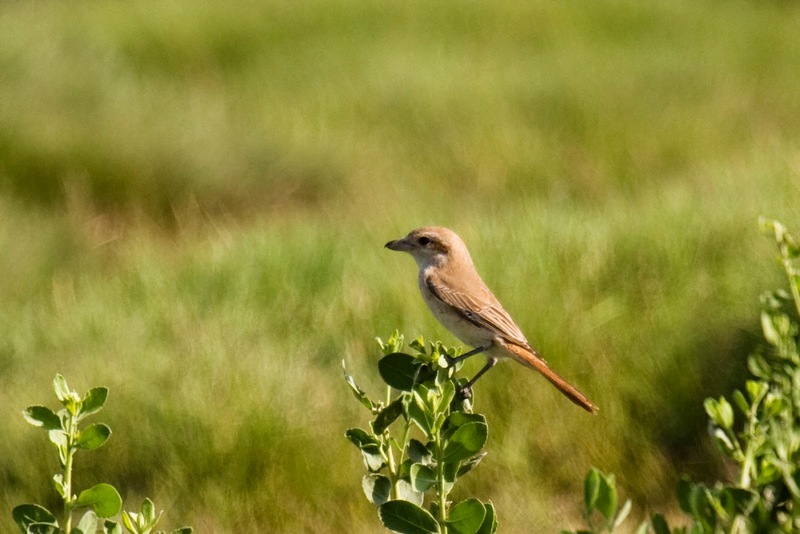 There is something special with shrikes... 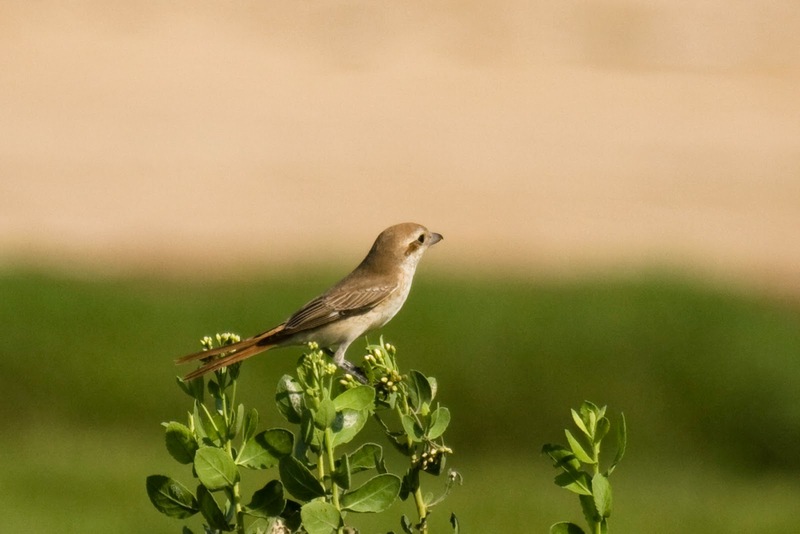 The variety of Shrikes in the UAE is, to me, one of the primary reasons for birding in this country. Along with Weatears. 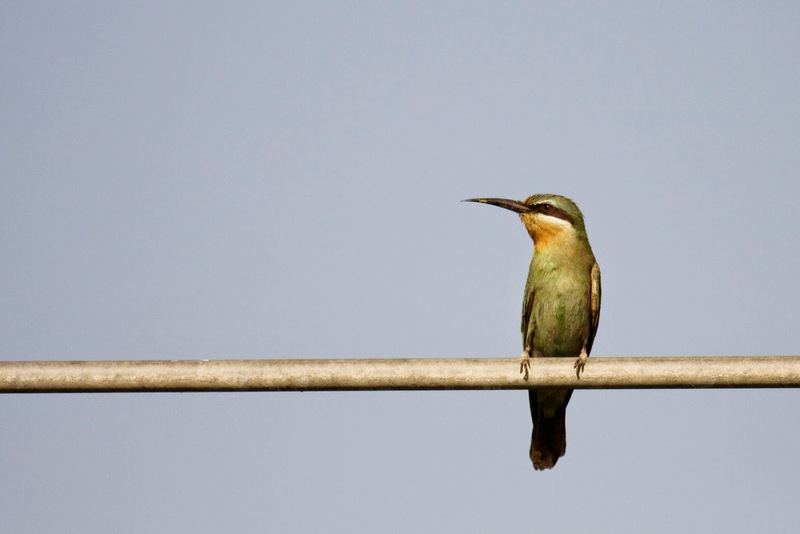 Bee-eaters, as always, are quite spectacular. Color wize at least. 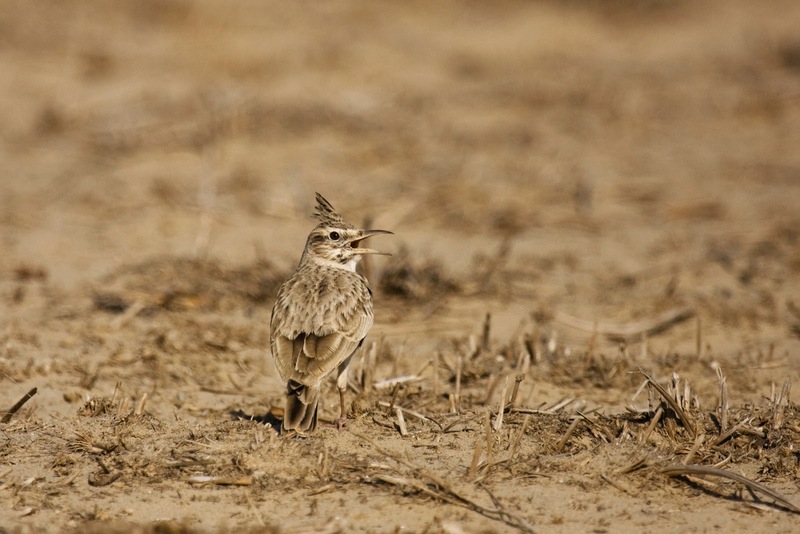 The Crested Larks can really blend in to the sandy ground. But on the grass, they are easy to spot. When I had reached the far side of the pivot, I started to walk towards the center of the pivot. 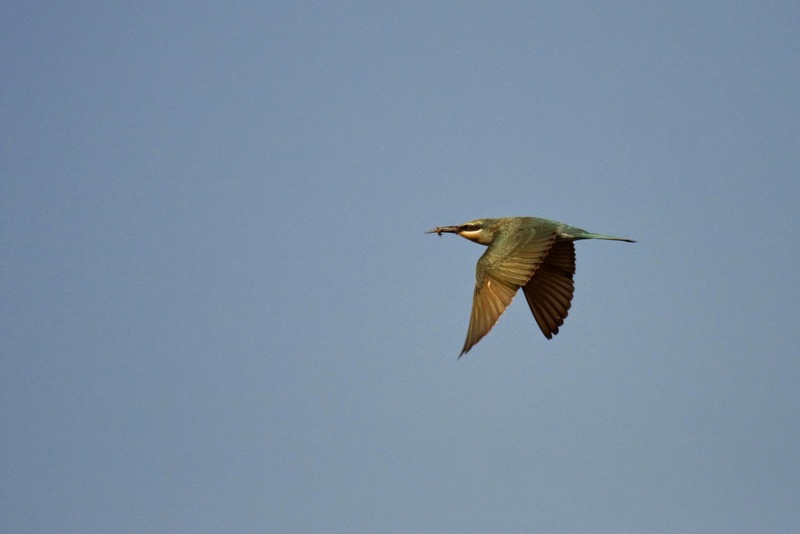 A saw the large number of Cattle Egretts from afar an as closed in on the center I saw two Blue-cheeked Bee-eaters (grön biätare, Merops persicus), a new lifer for me and one of just two lifers on this trip to the Pivot fields. 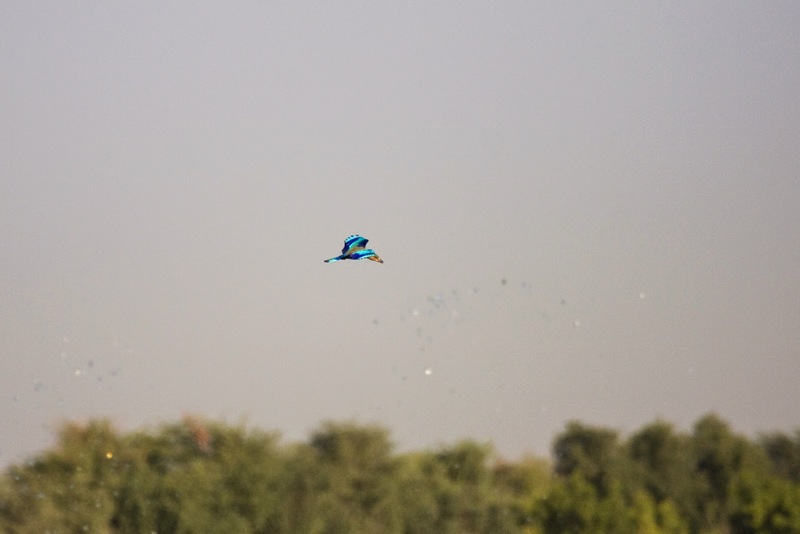 In the end, I counted ten specimens of the Bee-eater, which put on quite a show as they flew and caught insects. With ease... 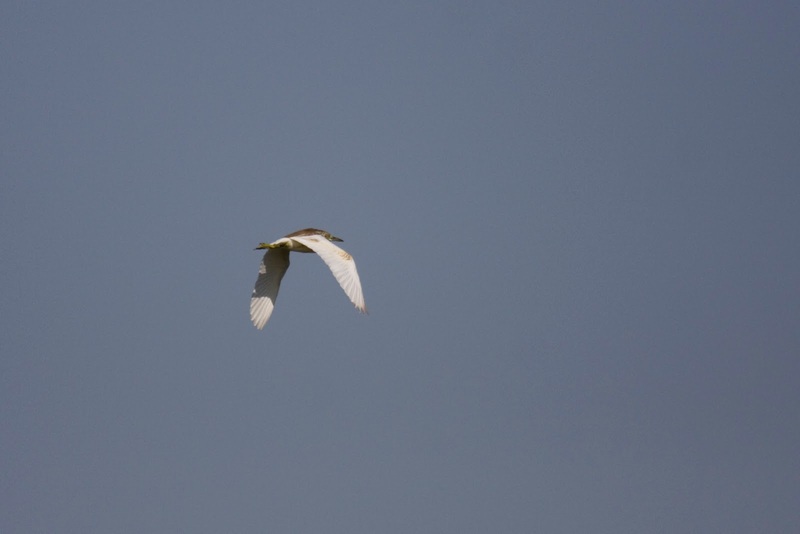 I walked on and a Squacco Heron (rallhäger, Egretta garzetta) took to its wings as I approached its hiding place. 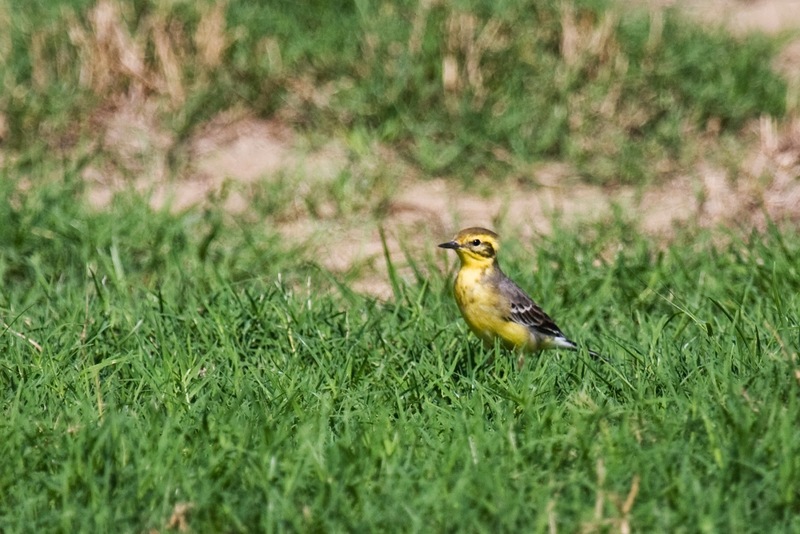 After the Bee-eaters, I walked back towards the turf-fields. Then suddenly, the Eagle came very close. I managed to get some decent shots as it flew past. 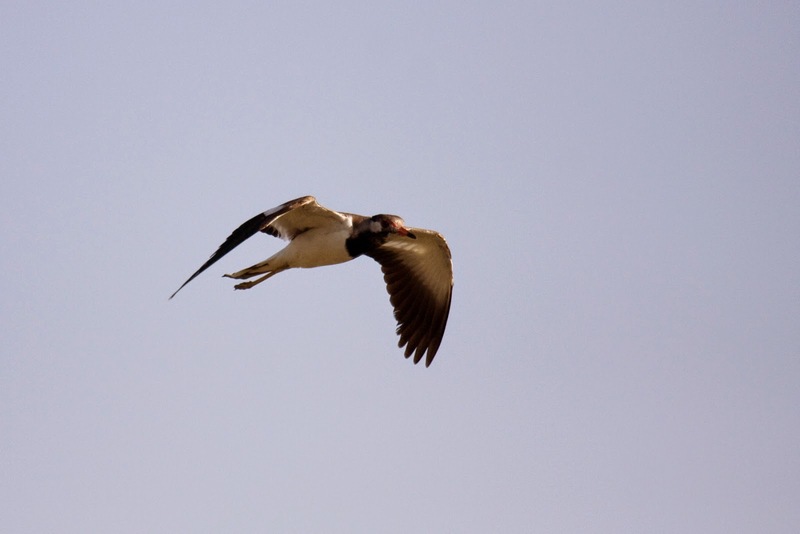 From these photos, I was able to tell that it was an adult bird. Nice! 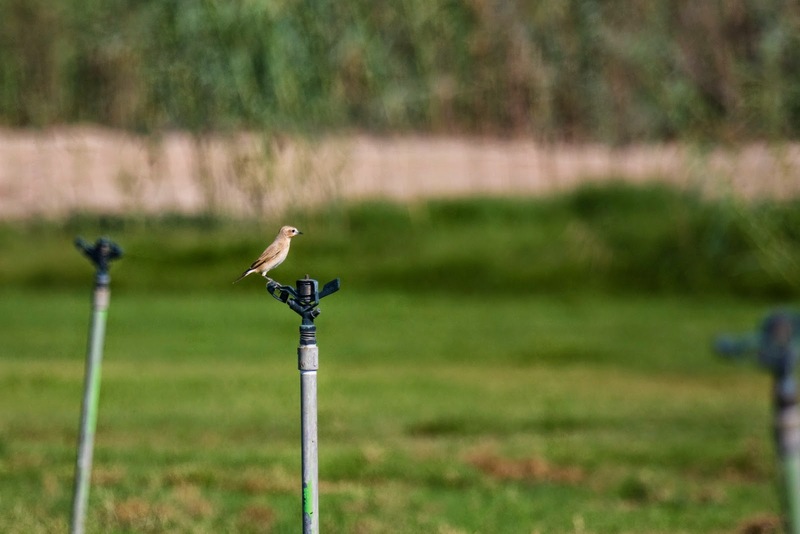 Back at the turf fields, I stumbled upon two Shrikes. 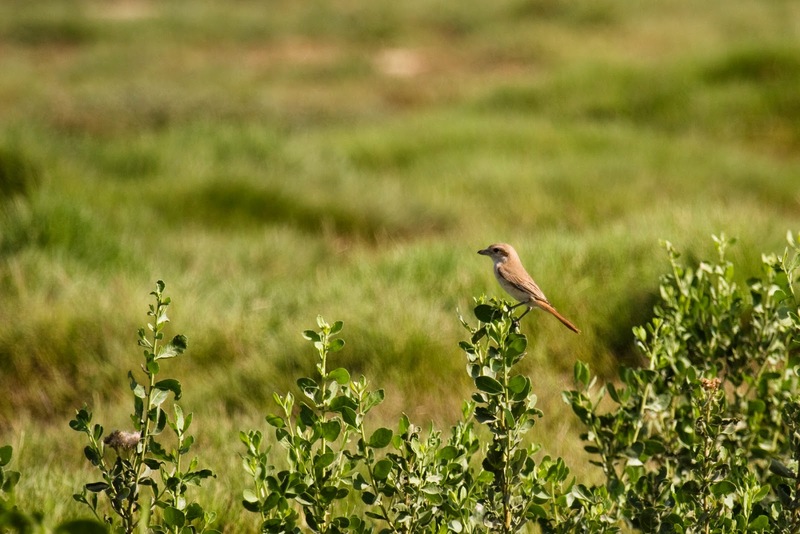 Well, Isabelline type Shrike and young birds at that. Difficult... Either Daurian or Turkestan. 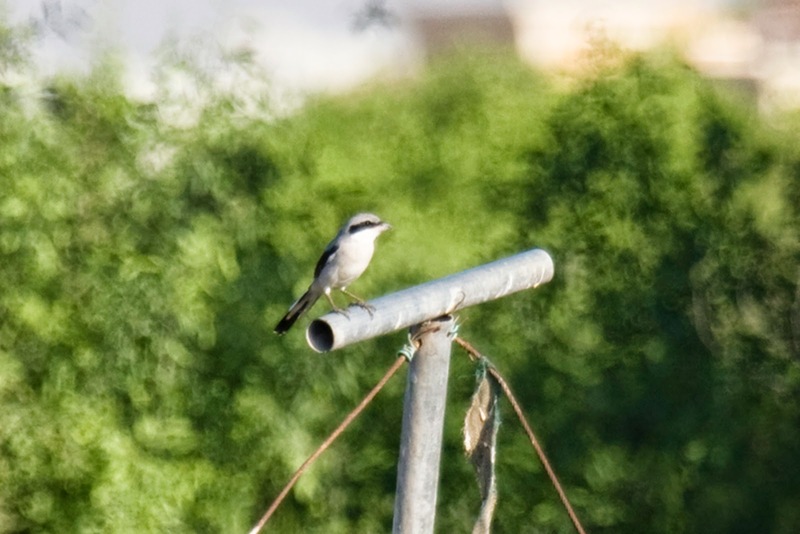 After I got home to Sweden, I examined the photos closely and ended in the conclusion that this must be Turkestan Shrikes (turkestanstörnskata, Lanius phoenicuroides). I actually got my conclusion confirmed through facebook, in the end. 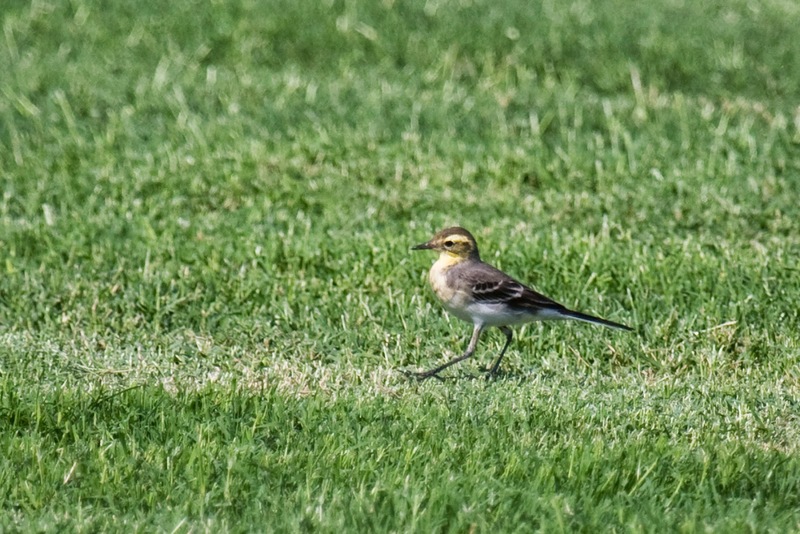 Before heading back, I managed to get some photos of an Isabelline Wheatear (isabellastenskvätta, Oenanthe isabellina) and a couple of Citrine Wagtails (citronärla, Motacilla citreola). I have definitely not mentioned everything but these were the most interesting birds. Common mynas, and such, are easy to find everywhere and will not be mentioned in posts like these.